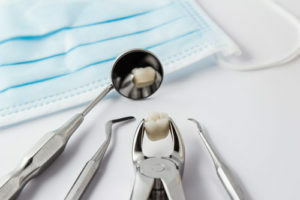 When Should You Extract A Tooth? When it is infected into the nerve and or jaw bone. When there isn’t enough root structure remaining to rebuild a functional tooth. When there isn’t enough space for the tooth (ie. For orthodontics). Yes, no tooth replacement is as good as your own teeth. If there is enough tooth structure remaining the tooth can be saved by treating the infection inside the root canal. Not all toothaches are caused by teeth infections, often something less serious.